This wintery weather has me climbing the pantry, hoping that something good looking and oh so delicious might just jump out. You too? I know, welcome to winter. We want food. Lots of warm nourishing food. It’s perfectly normal for our bodies to crave wholesome hearty foods moving into winter – something just like Lola’s apple crumble. How good does this look? Lola shares her recipe today to take us into the weekend. 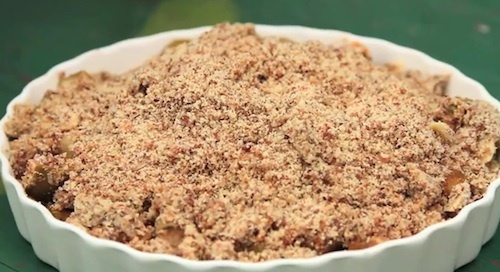 Yumm I love apple crumble but honestly was yet to see a healthy recipe for it! Thanks Nat and thanks Lola!